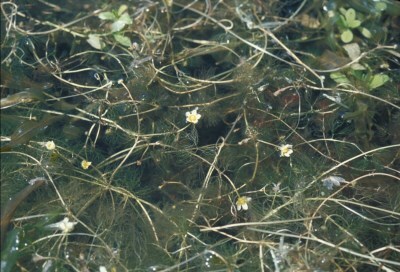 Included in R. longirostris in Michigan Flora. We apply this name, with some trepidation, only to short styled plants as defined in the key. These are relatively small-flowered and with often delicate foliage; the species is apparently circumboreal. See the discussion under R. longirostris. The Alpena Co. collection is coarser, with much more rigid, sessile leaves and may be R. subrigidus W. B. Drew. MICHIGAN FLORA ONLINE. A. A. Reznicek, E. G. Voss, & B. S. Walters. February 2011. University of Michigan. Web. 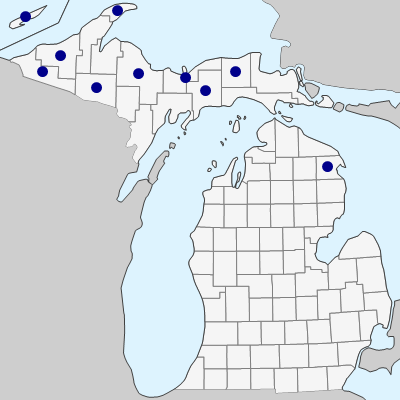 April 24, 2019. https://michiganflora.net/species.aspx?id=2868.